As an Edgars Club member, you save up to 50% on two Ster-Kinekor movie tickets. Edgars Club members enjoy great savings on Ster-Kinekor movie tickets. Check out some of the exciting movie releases this month. Edgars Club VIP and Club Life members save up to 50% on two Ster-Kinekor movie tickets daily. What better excuse to take the family to watch The Queen’s Corgi, which follows the adventure of Rex, the Queen's most beloved corgi, who loses track of his mistress. Not to mention fan-favourite Avengers: Endgame and thriller/horror Pet Sematary. No matter your mood, you’ll save on action movies at IMAX paying only R93; rom-coms in 2D, paying from only R29; the latest animations in 3D from only R31; arthouse movies at Cinema Nouveau from just R48 or the best in cinematic luxury at Cine Prestige for only R96. Trust us, it doesn’t get any better than this. 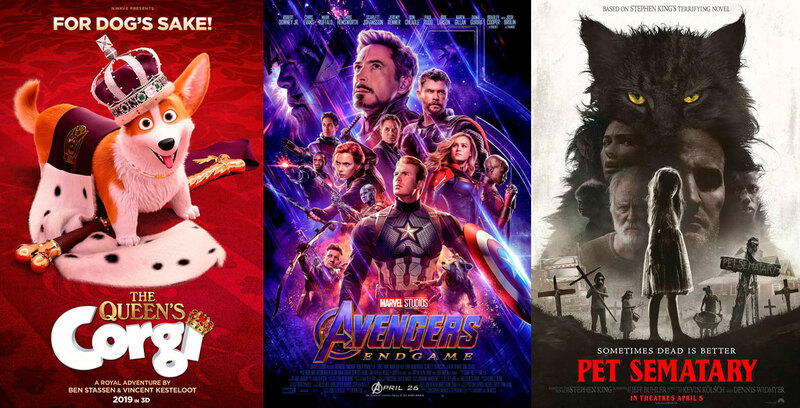 To see the full list of movies releasing this month and for more information on this benefit, click here. Ts and Cs apply.